Los Angeles’ quartet Smallpools will release their debut album LOVETAP! on March 24th through RCA Records. “Karaoke”, the first single off the album is currently available at all digital retails and streaming providers. “Karaoke” was produced by Ricky Reed and John Ryan, listen HERE. Press is already praising “Karaoke” with Hilly Dilly saying ““Karaoke” follows up some of the best new pop we’ve heard in a while, and the band has really hit the nail on the head when it comes to the song’s actual sound. Baeble Music noted “The energetic new track is lighthearted, lots of fun, and makes you want to grab a mic and sing along”. Earmilk said “Like a breath of fresh air, Smallpools build on their style with the momentum behind “Karaoke”. After bursting onto the scene with their 4 song self-titled EP, Smallpools has toured to all corners of North America opening for WALK THE MOON, Neon Trees, Grouplove, MS MR, Twenty One Pilots, and Two Door Cinema Club, played Lollapalooza and Firefly Festivals, and closed the year with a sold out Live Nation “Ones To Watch ’14” headline tour. The release of their self-titled debut EP gained them critical acclaim and brought them their national TV debut on Jimmy Kimmel Live, performing their debut single “Dreaming” which was produced by Captain Cuts. You can hear “Dreaming” HERE and see the video HERE, which has 4.5 million views. Supporters like Vogue, Interview Magazine, Idolator, BuzzFeed etc all praised the band’s catchy songs and invigoration live shows. Neon Gold called “Mason Jar” “a sepia splash of power-pop that crystallizes into a starscraping smash before the verse even kicks in, as stadium-sized Of Monsters And Men gang vocals ride high on the buoyant flair of Smallpools‘ youthful, Two Door-esque ebullience.” In addition, NYLON Magazine premiered the Charli XCX vs Twin Idol Remix of “Dreaming”. Check out more from their Billboard interview. 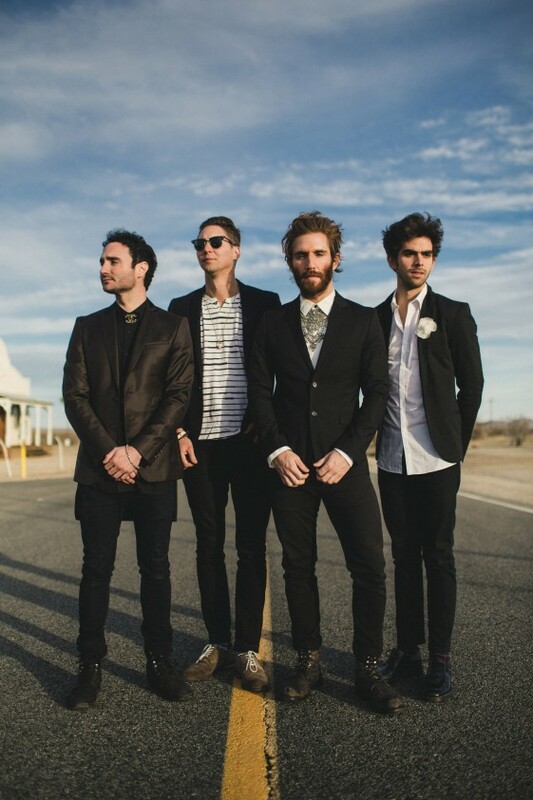 Smallpools consists of Sean (vocals/keys), Mike (guitar), Joe (bass) and Beau (drums).